The morning begins with campers eating breakfast and taping Viggo and many others to chairs in an attempt for the "prisoners" to escape. After breakfast, the campers went up the hill and jumped back into their projects. The teams met up to decide how to move forward with their robots. Team wheels started putting their steering mechanism together while team legs redesigned their legs and built a fence around the body of their cart. Aj works on the scooping mechanism for the legs group. 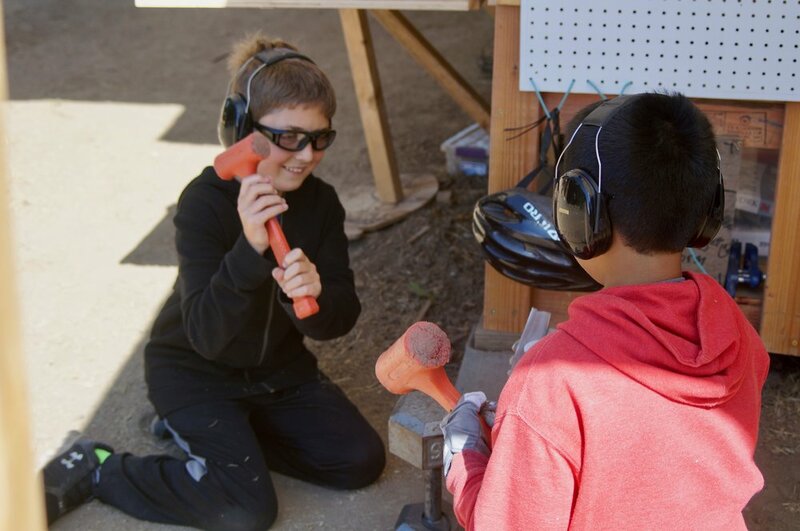 Some campers learned how to use the angle grinder, hand saw, and jigsaw. 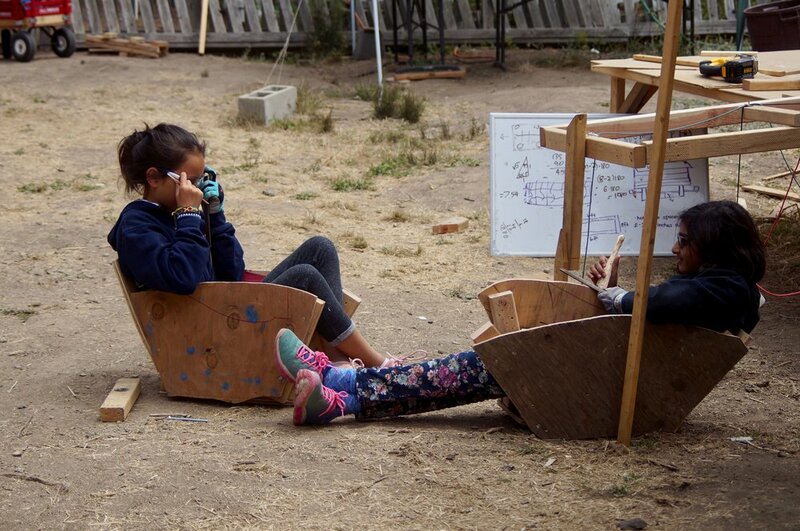 In the afternoon, campers had free build time and got to work on personal projects. 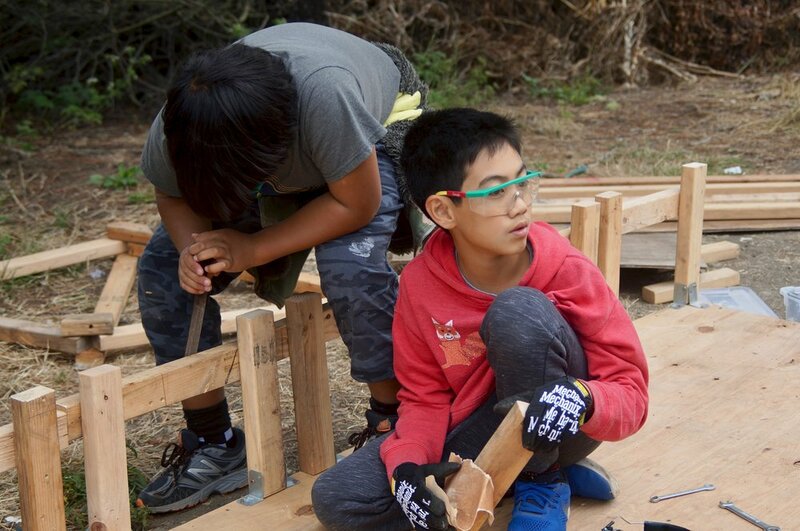 Some of the projects included a hammock, a treehouse, skateboards and chairs. 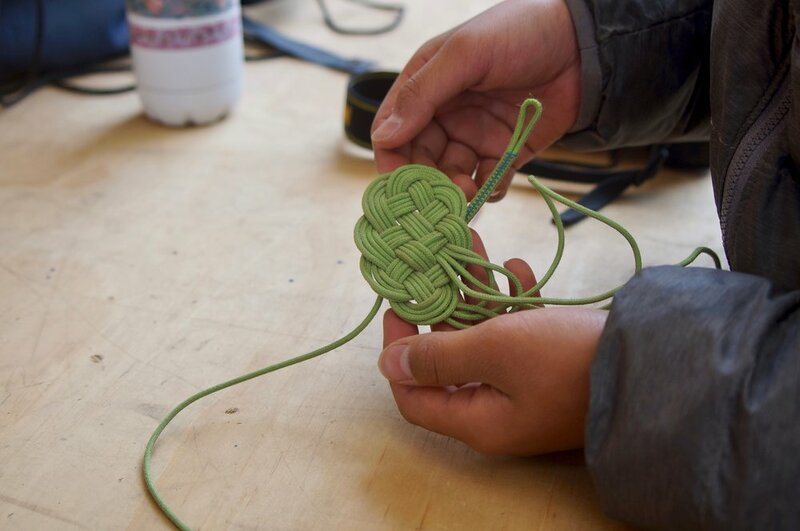 After free build, the campers went back to work on their projects. At the end of the day, the legs team had finished the body of their robot and had started assembling the legs. The wheels team attached two out of three wheels to their robot and created a steering wheel. Before dinner, some campers rode down the hill in Julie's truck. The campers eat a wonderful dinner prepared by Natty. Later they watched a documentary about a girl who sailed around the world in a year. Then after a few more activities it was bed time.